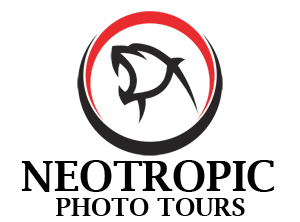 If you are planning to visit Costa Rica for photographic reasons, and if you are a photographer or birder and would like to see and photograph some of the most amazing and colorful species that can be found in my country but you are unsure of whom to hire for your trip and/or workshop, you are very fortunate . Let me introduce myself. My name is Juan Carlos Vindas, I was born and raised in Costa Rica´s countryside and I started working as a birding and nature guide in 1994 and eventually in 2006 I bought my first DSLR camera. Many years have passed since I lead my first tour and started taking pictures. I still feel the passion that photography brings to me every time I see an animal or bird through my viewfinder. Above all, when I see the faces of my clients showing happiness and satisfaction, it brings me great joy as well. If you are looking for a reliable, honest and fun guy to work with in Costa Rica, look no further and get in touch with me! I am flexible and can handle from 1 up to 5 photographers/birders at a time. I look forward to meeting you soon!.